Ohhh, look at the fierceness! Yup, time for another movie review! I was on the fence about whether or not I wanted to see this one or not. It’s an M. Night Shamalamamama movie, which has been a red flag as of late, and it’s another story about a post-apocalyptic Earth. We get it, Hollywood, we’re screwing up the planet (not that I disagree). Despite all of that, this was actually a really good flick. 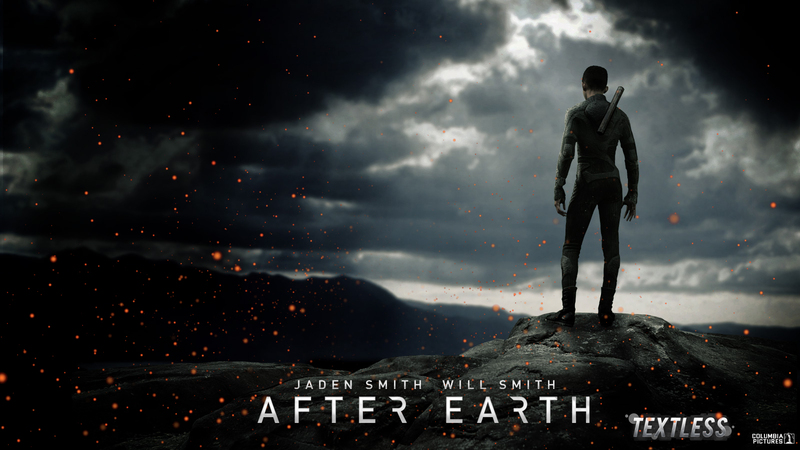 Both Will Smith and his son did awesome jobs in their respective roles. Some are saying Will was flat, but that’s not true. He was playing a flat character, which is completely different, and he did it well. The glimmers of emotion that broke through were what you have to pay attention to. My one big problem? Where the hell are all the guns? I’ll explain what I mean after the break (as usual, some mild spoilers to follow–not many in this one). OK, you’ve just settled yourself and the rest of the human race on an alien planet with comparable Earth-like life-supporting capabilities. On that alien world, you find some rather nasty aliens which have giant claws, super strength, massive crushing jaws, and hunt by smelling human fear pheromones. Sounds like a bad day, right? These creatures are completely blind, so the ONLY way they can find you is if you give yourself away by stinking of human fear (literally). But who wouldn’t be afraid of these things? So, how do you fight back against these terrifying things? With really cool sword-staves that transform into all sorts of nifty bladed doodads! At least, that’s how the Smith family does it. Me? I’d get a really powerful rifle and shoot them from very far away. The way humanity fights back against these things in the movie is just silly. We have interstellar travel, but we forget how to shoot things that want to kill us from a safe distance? Sorry, I don’t buy it. I said I only had one problem, but there’s also the subject of the extreme rate of “evolution” on Earth. That’s another discussion, and I’m not 100% sure I have the timeline of the movie correct, so I’m willing to let it slide and just enjoy the setting. Oh, and about the setting–it’s beautiful. There’s some seriously good cinematography going on, and MOST of the tech looks really cool. I didn’t really dig the organic look of the spaceship interiors (kinda looked like the inside of a whale–which is probably done on purpose), but the computer UIs were simply awesome. The best part of this movie? The plot and character development moved at a pretty steady and LOGICAL pace. It wasn’t exactly 100% predictable, but there was no ridiculous “twist” gimmick at the end. I’m going to go ahead and assume I’ve got Will Smith to thank for shutting M. Night down. Oh, and I’m fine with the cheesy part with the bird too. It was cheesy, but maybe I’m just a cheesy guy. You’ll see what I mean. Go out and enjoy this movie, and don’t let my rants turn you off too much. It’s a good movie with some surprisingly deep moments.